PRICES START FROM £24 FOR 10 WEEK COURSE PLACEMENT - All course information will be on the Facebook page with constant updates. Payments will be sent via invoices, all participants MUST complete a Health Form (this can be found on our Home Page). Places are limited, so please book early to avoid disapppointment. Many thanks. A beginners course for parents or carers. No need for childcare, strap your little one in and push them along on this gentle running course. Ideal for postnatal mums who are trying to get back in to exercise. With a slow paced, relaxed work out session, you'll hardly feel like you're doing anything. Also, a great way to get out in the sun, and give your child some outdoor fun! The Beginner Running course is ideal for anyone who has not ran, or exercised, before, or for those who have been away from running/exercise and want to build their fitness levels up gradually. The aim of this course is to build fitness and progress on to running 5k by week 10 of the course. It is advised that runners keep up their fitness levels with an extra session per week in their own time. 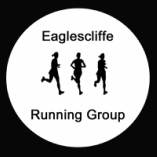 The Intermediate Running course is for runners who want to improve their 5k time, add distance to their run, or just enjoy running with the group and being active. Those who choose to, will have the option to run 10k at week 10 of the course, should they wish to do so. Each group is of varied abilities, and it is the runners choice to run as much or as little as they wish at each session in order to reach their goals. Sessions will vary and include training such as Fartlec, Interval Training, Hill Training etc. It is advised that runners keep up their fitness levels with 1-2 extra sessions per week in their own time (depending on their personal goal). The Advanced Running course is perfect for those wanting to improve their 10k time or train for races/events. The group will be solely for those wanting to compete, improve their 10k time and will therefore offer friendly competition during your run. Sessions will vary in order to keep fitness levels high, however the majority of lessons will focus on building stamina and distance. Unlike most forms of cardio, using kettlebells helps you to build muscles at the same time as having a fully effective workout. The weights are light, the reps are high, and the resting time in between is short; meaning that throughout your workout you are constantly active without realising it. Kettlebells gets your whole body moving; they have been proven to lead to tremendous weight loss and you'll soon find yourself with muscles didn't even know you had! This class is for all levels of fitness, and each person will work at their own individual maximum effort, in order to reach their own personal goals. Metafit training aims to boost the metabolism and burn fat. The workout will push your muscles to fatigue and elevate your heart rate so that you carry on burning calories for 24 hours after the session. Metafit involves traditional bodyweight exercises with the latest interval and Tabata techniques for high energy, safe and amazingly effective workout lasting only 30 MINUTES , yes 30 minutes ! This 30 minute workout benefit you more than spending hours a week in the gym. It will improve your core strength, posture, balance, help you lose weight and tone muscle. Simply put , the whole session is aimed at speeding up your metabolism, which will burn fat calories and help tone your muscles. It take 30 minutes and lasts for 24 HOURS . There is so much diet information out there, it's often hard to decide what's fad and what's fiction. This 10 week Live Well Eat Well course aims to banish fad diets, and teach you the importance of a healthy balanced diet. Including meal plans, specialist knowledge on diet and food groups, weight management as well as the science behind losing weight.